Sometimes gum tissue can be uneven, and this can give the appearance of exceptionally large or small teeth. A common type of gum treatment is a gum lift. Geelong cosmetics dentists, Dr. Jason Gray & Dr. Alison Robinson, can correct the contours of your gums to give you a more proportionate, balanced look and healthy smile. Gum contouring is a common and painless procedure which heals fast. 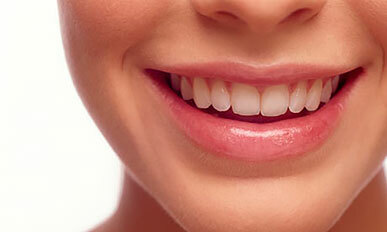 What are the steps involved in Gum Reshaping at Geelong Smile Studio? Dr. Gray or Dr. Robinson will use a diode laser to gently sculpt the gums, removing superfluous gum tissue. This has the effect of creating a whole new smile, one which is whiter, more even and more beautiful. The amount of sculpting that is possible depends on how much gum tissue we are able to remove in order to preserve the "biologic width" (this is the amount of gum area needed to hold teeth together architecturally). If laser treatment is insufficient to produce desired results, other treatment options are available in order to reduce the appearance of a gummy smile. The gum lift procedure is designed to ensure symmetry. To schedule your consultation for gum contouring in Geelong, contact our office immediately to discuss your needs. What is the Dental Hygiene Programme for Gum Treatment at Geelong Smile Studio? Our studio is committed to the highest standard of care for our patients, which is why we developed our first class Dental Hygiene Programme. We believe the essence of oral health is healthy gums, which is why all our patients have a plan of continuous care involving our dental hygienist. We have access to the latest technology for gum treatments in Geelong. Procedures that used to require local anaesthesia and scalpel treatment now can be carried out with our cosmetic laser. This means no stitches, shorter appointments, and quicker healing (5-6 times faster than regular treatments). The best advantage is that this treatment will cost you about half the price of conventional surgery.